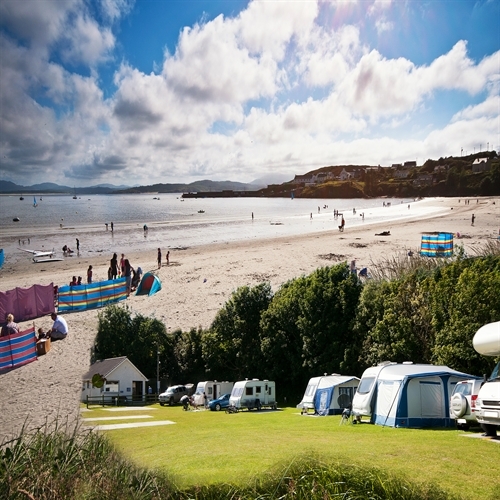 Caravan park with beach front location and a view of the Atlantic Ocean. This site is bordered on one side by the village main street and on the front of the site is a safe sandy beach for one mile. Shops, pubs and a hotel are all within 100 years of the site entrance. Sheephaven Bay is ideal for watersports. The Rosapenna Championship Links Golf Course is just half a mile from the site. This small peninsula are jutting our into the Atlantic has interesting walks and drives.